With the results of round one tallied, the second round for Marvel vs. Capcom 3 DLC has begun. Voting is now being limited to the top 25 most desired characters from both Capcom and Marvel. If you're a registered member of Capcom Unity, you can vote up to three characters on each poll (Marvel/Capcom), until March 5th at midnight. Please understand that the results of this poll may not necessarily affect the outcome of future DLC. This is a fan-lead effort, not endorsed by Capcom. Granted, Capcom is well aware of the poll and have gone on to say they are watching it closely, so it really couldn't hurt to participate. That said, go off and vote! Phoenix Wright is right behind Mega Man X at 10%. Keep voting for X! I think megaman.exe would be a great addition bc his combos can have like battle chips he installs. One of his hyper combo could be bonding with protosoul and using that soul to do a slashing moves toward the opponent kinda like deadpool’s cutting time. The other could be megaman transforming into the evil megaman that uses dark chips with makes him stronger. The level 3 hyper combo could be showing megaman combining sword, wide sword, and long sword to create a life sword. Then the field goes into a 3X3 grid around opponent and megaman just starts attacking him with lifesword. During Marvel vs Capcom 3's live launch party in New York City, Nitsuma said "Megaman X is something we'll consider, we're not done with characters yet, and we want to make all the fans happy." 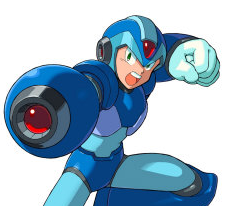 So even though he's not my favorite MM I say we all rally behind X for DLC. We should also show our support for the .exe series by voting for Bass.EXE as well. At this point there is no way Classic or Mega Man.EXE will beat X in this poll. I joined Capcom Unity just to vote for X! Let us rally together X fans, and show Capcom our support for the blue bomber of the future! I voted for Mega Man X and Sigma. Although, I have to say... If this poll isn't official and/or endorsed by Capcom in any way, then what's the point? It seems to me as if they're needlessly getting peoples' hopes up for nothing. I am sadface. Not a single one of my chosen characters made the cut. The people have spoken. *sigh* :( Well... at least there's some characters in there I'd actually vote for. Wait wait wait!!! Ha hah! Juggernaut made it! :D My bad. Hm... Some neat ideas there. My preferred playing style for a theoretical Rockman.EXE in a fighting game would be more centered around status effects/counterattacking/field control. At least something less projectile spammy. Maybe Capcom's answer to Dormammu? - AreaSteal: Teleport move. Only works on the ground. - EnergyBomb: Throws a bomb in a small arc to the other side of the field. Upon impact, the bomb lets loose multi-hit energy bursts that linger for a second. - LongSword/WideSword: The Long variety is a basic forward melee swipe. The Wide variety has less range, but strikes in a 180-degree arc. - WindRack/AirSword/GutsPunch: Shorter-ranged melee attack designed to knock the opponent backwards. - AntiDamage: Rockman preforms a quick defensive backflip and throws shirukens towards where he once was. - Wind/Fan: Summons wind that either forces a on-the-ground opponent into the air, or pulls a mid-air opponent to the ground. The wind is active for three seconds. Could be a good assist. - PoisonSeed: When this trap is triggered, it causes no damage, but the opponent's red health is eliminated. - Thunder: Slow-moving electrical orb that will try to home in on the opponent for 5 seconds before disappearing. Causes high hitstun if it strikes an opponent that is not blocking. Only hovers close to the ground. Could be a good assist. - GoingRoad/ComingRoad: When this trap is triggered, it causes no damage, but it trips the opponent and sends them forward/backwards. - Life/Dream Sword: Pretty much a must. I'd prefer the anime version to be used, as it generates a shockwave. - Guardian: Not the most representative move for a hyper, but I think it'd be quite interesting. Summons a statue that, if struck, will rain retaliatory unblockable/undodgable lightning bolts. It's not something an opponent would want to hit with an assist out. The statue fades after 3 seconds if not struck. - Hub/Saito Style: The absolute must. Transformation-type hyper that temporarily increases attack power, speed, grants super armor, and allows traps to inflict damage. 50% of EXE's remaining health (or all red health if that's too much) is used upon activation. During an "Ask Capcom" livestream today, Sven (a.k.a. the man in charge of Capcom U.S.A.) said that Capcom is watching the poll but they have been watching poll's on other websites as well. So I'm pretty sure at the minimum the top two capcom characters will become DLC. As for the marvel side, it's all full of characters that are no longer relevant like venom or gambit so capcom probably won't even look at the winning marvel votes with real intent on transferring them in mvc3. @VoiceOfReason: I heard X made it to #1 in Japan.. what other polls have their been? From what I've seen, X seems to be leading the way..
One of the Hypers should definitely be the Ninja Counter Attack Chip, I forgot what is it called, 'NoAttack' or something. Consider how Countering Hypers/Moves/Etc. like that are quite popular. But, Go X Go! Don't let a Lawyer win you! Just as I once told you, that I have voted for X and Classic MM (for classic MM in Akira Style if possible). But now i also voted subordinately for Sigma since he's 16th in the list, so why not give a try. I agree about the Marvel polls, most of the characters that are wanted are veterans who are currently irrelevant, so I honestly don't think those matter. By the way, with several characters from the MM universe, the votes are actually a bit split, which would hurt MMX's votes. I hope Zonic does a round 3/top 5 where you only choose 1. I'd like to see who people prioritize most. The combined MM votes could potentially slaughter Phoenix Wright. Bass.EXE. Give him a chance. He must be cool looking in MVC3, imagine that! Megaman X deserves it. He gets no love. Seriously it's his series and the sidekick is the one representing it And a Megaman x team(Sigma, X, Zero) would be EPIC>_> Bass. exe however is the best representative for EXE. We don't want multiple Megaman incarnations in the game. C'mon people vote for X! I know I will! While I know they won't win (especially after the Vote Percentages appeared from voting), I voted for Batsu (Rival Schools), Megaman EXE, and Edward Falcon (Power Stone). While yes, I was (and still am) disappointed with the lack of a real Megaman in the game, I'd rather it be someone outside of the X series. We already have Zero to rep the X series. Does he always get the shaft compared to Zero? Yes. But so does every other Megaman that's name isn't Classic, X or Zero, numbnuts. I gave my vote to Mega Man X. He SHOULD'VE been in Marvel VS Capcom 3 in the first place instead of Zero. I hope X AND Phoenix Wright gets in. I can only hope so since they're both leading. But I won't get my hopes up high either. SIGMA, YES. We know what Mega Man plays like (as well as Bass). We don't know what Sigma plays like, but it would be awesome. Here's to hoping X gets in, along with a good ending. Still though, Doesnt make too much sense that Zero's the one getting all the fame. I mean, he's the normal emo prick that's in most games, While X is the naive main character. Except when the naive main character can use a sword almost on par with his sidekick, and can copy anything of use, I'm pretty sure that X would be more fitting then Zero. Already voted for X, Mega Man, and MegaMan.EXE, although I really just voted for Classic and EXE to deny any threats to X any more votes because X (awesomely) is the only one who has any chance of winning. Although he doesn't have much to worry about; he's currently leading his closest rival, Phoenix Wright, by around 200 votes. Steiger seems to be a non-issue this round. To all this, I say HELL FREAKING YES, especially if Capcom is paying attention. It's way past time X got his due, and Zero never should have repped the series in MvC 3 in the first place. Can't help but LOL at all the idiots who are against seeing one incarnation or another of Mega Man in MvC 3 though. It's exactly this idiocy that splinters the Mega Man community and makes me hate it so much. Yeah, X happens to be my favorite so I'm happy, but if another Mega Man was the only one who was winning these polls and had a shot, I'd rally behind that one instead of trying to take votes away. Amazing how stupid Mega Man fans are, but I suppose I should be used to it by now. Anyway, GO X! GO X! GO X! How the hell would Phoenix Wright even work in a fighting game?! He's not even in any games that even CLOSELY resemble an action or a platformer game. That's like suggesting Professor Layton to be in the next Dead Rising, Gears of War or Call of Duty game. One thing I'd really like, if X actually does get in, is for them to get Mark Gatha back. That would seriously get me hyped up beyond recognition. He was my favorite North American voice actor ever, and seeing him come back would be a dream come true. That is... if he could spare some time from his doctor duties..
Capcom once said in an interview that, as originally planned for TvC before canning, that Phoenix would have attacked by using speech bubbles. The reason why it got canned was because the syllables would be different in the English language. I think thats exactly what they were saying...? I used to support Rockman.EXE over much of the past half year, but then I thought about it some more over the past month, and decided that he was better saved for a potential Konami/Capcom crossover. Vote. Do it. For HIM. NOOOWWWWW!!!!! @Amir: .....Dear God, if they got him back for X.... wow. Though, we lost Lucas for Zero.. Johnny Young Bosch is awesome, yes, I will not deny that (I liked him in both Wolf's Rain and Bleach) but... I was more than expecting Lucas. 1 - Wright gets a lot of air and shouts a big and long lasting "OBJEEEEEEECTIONNNNNNN!!! ", taking some breath afterwards. Objection wouldn't work. Kanji -> english, remember? Doesnt fit. As much as I love EXE and all, I'm supporting Phoenix Wright in this one. How I long to see him blast somebody off the stage with a well-placed "OBJECTIOOOOOOOOOOON!" As for the syllable thing, why don't they just divide the letters? I have no idea what the characters are for it in Japanese, but why can't they just put "Ob-jec-tion" or something similar? Meh, tl;dr: YEAHH PHOENIX WRIGHT. But X will probably win. Dang it (I would rather not get slaughtered by X fans thank you very much). And then this poll probably doesn't even mean anything. Ugh.